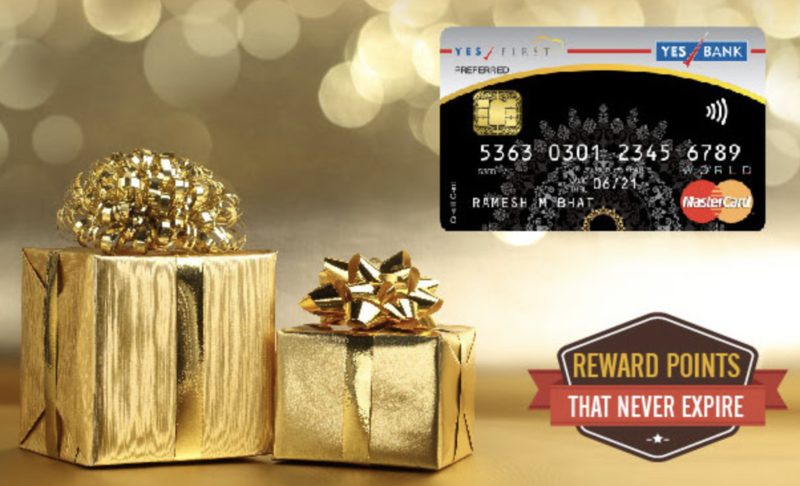 Here’s new personalised offer from Yesbank to grab 5000 Bonus reward points up and above your regular points earn rate. Yesbank has been running such spend based offers almost every month like we’ve seen before and this one is more identical to it. Thanks to Aman & other readers to notify me about the offer. I personally haven’t received this offer probably because i’ve got upgraded to Yesbank Exclusive card and it seems the system needs more than 2 months now to analyse the spend pattern to come up with a target spend. The effective savings is Rs.1250 on reaching the spend requirement, hence you may need to crunch the numbers on your own to see if it makes sense for you. It seems the spend requirement is quite high for many that its mostly a miss. How about your’s? Did you receive this offer and how much was your spend requirement? Feel free to share your thoughts in comments below. Got the SMS and email for this offer yesterday. My spend threshold is 85k 🙁 not really worth spending that much for only INR 1250 worth rewards. Looks like everyone got high requirement. Or maybe they’re trying to stretch the limits. Lets see what others have got. Cool, you get a nice value then. Mine is 60K. Not worth to spend 6ok just for the only 5000 reward point. 195k limit for me.. Joke. I would never spend around 2l for just Rs. 1250 worth of points. I too didn’t receive the offer. But i guess you’ll get it on email as there might be problem with Intl. SMS delivery. Any hope? I am YFE card holder and i have also not received any offer….. This is best one by far! I got for 20k. Can others inform on types of eligible spends, is wallet loading allowed ?? 5000 Bonus Reward Points on spending a total of Rs.15000. I have the same question. Can i do the wallet trick? Wallet loads are allowed by Yesbank for now. I got the email and sms as get 5k rewards for 30k spends. Well, my threshold is Rs. 5,95,000. Now beat that. Lol. That’s crazy amount. Maybe your spending pattern is very high as well. For me its 50k. Its higher than the previous threshold limit but i will give it a shot. Still 5% reward rate for me. Mine is 75k. One colleague has 10k. I have got this Yes Preferred credit card after opening Yes First Account recently (3 weeks back). And now I got this offer for a spend of 35000 only. Though I am liking the offers , the Online Interface seems to a bit old. I am still checking how I should pay utility/insurance premium bill through YFP credit card. Do we have to pay directly from merchant site? I got target of 35K. Sid your assumption that they take a couple of months to understand spend patterns is some what misplaced. My card got activated on 31st Jan with only a couple of expense between 1-2K, as I was chasing targets on another card, still I get 35 K.
Maybe. But that’s how it worked on my preferred card as well which took about 2 months. Couldn’t conclude though as i spent just ~Rs.100 or so in my first stmt cycle. Lets see, anyways i’ve asked the guys to check what’s happening. I got 70k this time around ! Last time it was 15k ! Drastic increase.since i have spent a lot this month before this offer, don’t think i would be gunning for this offer. This might also lower the threshold for the march offer. I am pretty sure that there is going to one for FY end. My target has been increased to 70k from 15k of the last time. Don’t think I’ll be gunning for this offer. This may also lower my threshold for the march offer. I am pretty sure that there would be one for FY end. YFE holder here. For me the spend requirement is ₹60000. It was 25k during the last offer. for me its 120k. Likely their method is to make you spend double of you spent in the last month. Yes also has offer of double reward points on insurance premiums paid during Jan-Mar 2018, would that spend in the next 20 days counted towards this offer? My target is INR 40,000….Last month I got a SMS from yes bank that you can earn double reward point on insurance payments upto 31st March…now if i make insurance payment will i be eligible for both double reward points + 5000 bonus ? This promotion would be a failure. Some learning for YES team. My target is 1.1L, it’s 3X more then last offer(35K). What is the basis of 25% rupee value per point??? I guess, we dont have the option of statement credits in this. Indeed this time they increased the threshold. For me, last time the threshold was 30K (Dec’17) but this time it is 75K. Can anyone review ” MMTDOUBLEBLACK” membership. MMT claims a savings of ₹50,000 P.A on this membership. MMT will take care of the cancellation charges of your first 5 Flight tickets and hotel bookings and there are lot of catch in that. I had bought this for 1499 when it was initially launched. I get 10 flight and 10hotel cancellation free. This has now been revised to 5 for the new joinees. Canceled one flight just for fun and got full refund. The only catch is you should be the passenger and booking has to be in your exact name that you register while subscribing to double black. MMT black is nothing exclusive but just a loyalty program where MMT offers spend based rewards. for me the spend limit is 40K. Get 100% (max 5000 RPs) bonus RP on paying Insurance premiums using Yes First credit cards. Validity 1st January 2018 to 31st March 2018. Now we can repay loans and interest on LIC policies using credit cards. I got low limit as I have very less spending on this card. I have yes bank prosperity edge card. I don’t find it very attractive. Hey… HDFC has sent me a mail stating that ” Complimentary MMTBLACK membership – the invite-only Loyalty Programme by MakeMyTrip, exclusively for you! Being a Regalia customer has its own privileges. Presenting to you MMT Black that takes your travelling experience to a whole new level”. I too got it on my Regalia. I dont know if everybody has received d offer… But it says Complimentary MMTBLACK being a Regalia card holder. I have also received. But befor that mmt offered it to me free. I have applied for yes bank business card but my application got rejected :(. I hold DCB and never had any default. My ITR is also double thn required for business card. How to find out reason for rejection ? OT, but since there is no forum, a few updates on my ICICI cards. 1. I have got a DragonPass on my Visa Jet Airways Safiro Card. Surprisingly, many of my colleagues who subscribed to the same around the time as me have not got it. 2. 3X rewards points on ICICI CCs for Insurance payments about 10K (upto 3K RPs) uptill March 31. Thanks for the updates. #2 might help a few. I also got this card 1 month back and received the statement today. I had not applied from JetPrivilige site nor during any offer period. Still, I got a fees discount. The applicable joining fees was Rs. 2500 + GST. Also received the VISA Variant & DragonPass. Learning things from you all. Thanks & Keep up the good work. Nowadays no promotion offers from yes bank credit cards. Is anyone getting ?? It usually comes during festive/shopping season, though got extended for a many months last time. Lets see if they come up with any for this travel season. Received my 5000 points for February spends on 4th May via SMS confirmation.